This statistic shows the number of fatal injuries to employees in Great Britain in 2016/2017, by cause. In total in 2016/2017 there were 137 fatal injuries to employees. 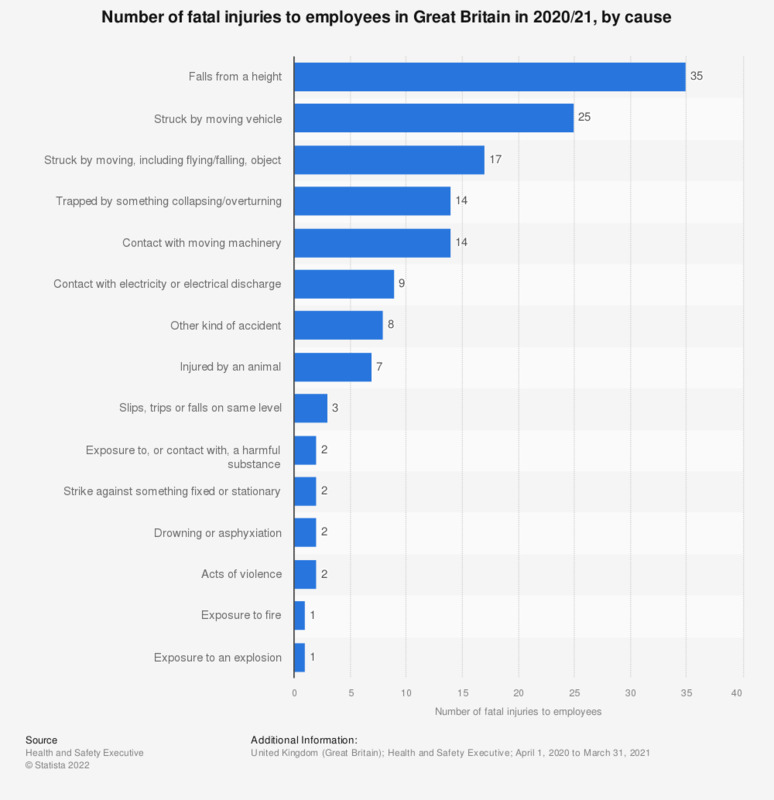 The most common cause for fatalities at work were strikes from moving vehicles (31) and falls from heights (25). * Figures for 2016/2017 are provisional. Figures include self-employed workers.